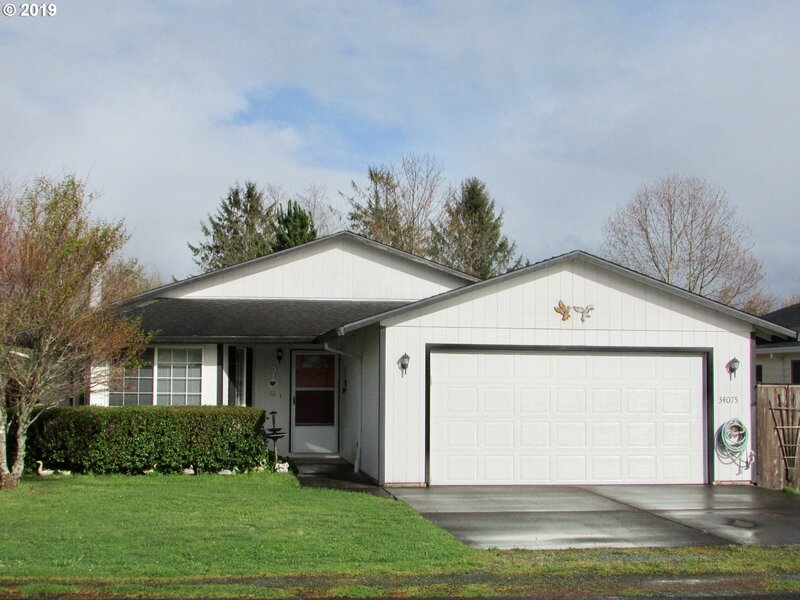 All Nehalem homes currently listed for sale in Nehalem as of 04/23/2019 are shown below. You can change the search criteria at any time by pressing the 'Change Search' button below. If you have any questions or you would like more information about any Nehalem homes for sale or other Nehalem real estate, please contact us and one of our knowledgeable Nehalem REALTORS® would be pleased to assist you. "The magnificence & expansiveness of this masterful home will impress. From the expansive views of the Pacific Ocean & coastline, open concept living, over-sized master suite, media/library room, built-in his & her office w/file room, abundant storage, bedroom w/attached den, family room, view decks both levels, interior workshop space, cook's kitchen, artist/craft room, 700 bottle wine room, central vacuum and of course - an ELEVATOR." "Picture perfect setting! Creek front, mountains, its peaceful & serene. Enjoy the view from the expansive wrap deck. Inside you'll love the open great room, spacious family room down(or 3rd bdrm) daylight basement. Loads of built ins. Updated windows, doors, flooring, remodel kitchen and bath, SS appliances. Its every one's dream a 30'X60' shop/garage PLUS attached 2 car garage! Fish pond, firepit, its all here." "Light and bright this charming home features two master suites upstairs plus a third bedroom and bath on the main floor. A stylish and functional kitchen with granite slab counters and stainless steel appliances make meal prep a joy. Enjoy outdoor living on the covered aggregate concrete patio. Parents and pet owners will appreciate the fenced yard. Call today for your showing appointment." "Bright & open private retreat on 5.3 acres. 5 bedroom/2 bathroom is ADA friendly. Master ensuite. Living & family room. 30 x 36 Shop building built in 2006. New roof in 2016. Solar power to house. Previously assisted living would make a great home for guides, bed & breakfast etc. Enjoy this beautiful quiet country setting only minutes to the beach." "4 Bd+Bonus,3 Bath,Fam/Living/,Dine.Rm,Kitch./eat area,cook island&huge pantry,2nd kitch.off fam.room,on 5.5 acres!Hobby stable, part.fenc.2 frplc. 4624sqft,approx.1/4 of 1st floor unfinished basement. 5% or $2500 min. buyer s prem. paid at closing. B of A employees, spouse or domestic partner, household memb., business partners and insiders are prohibited from purchasing"
"CUSTOM 3 BD 2 BA HOME! QUALITY THROUGHOUT THIS SINGLE LEVEL MOVE IN READY HOME! EASY LIVING OPEN FLOORPLAN, PRIVACY FENCED BACKYARD, NEW TREX DECK, COVERED PATIO, VAULTED CEILINGS THROUGHOUT, AND COZY FIREPIT! LOCATED IN A QUIET AREA YET CLOSE TO THE BEACH, BAY, RIVER AND JUST 1 MILE FROM MANZANIT !.THIS WELL MAINTAINED PROPERTY WOULD MAKE A PERFECT 1ST OR 2ND HOME AND IS WAITING FOR YOU!! MLS#19-170 $344,900"
"Idyllic Country Living. Privacy, pastoral Nehalem Valley views, creek running through tall trees on 1.99 acres where you can spread out & enjoy life surrounded by nature. Coastal location just 8 miles from sandy beaches at Manzanita. Tidy, comfy view home above; vaulted ceiling, skylight & cozy woodstove, big wrap around deck & hot tub! Spacious private entry Studio below for multi-generational living, rental or guest quarters." 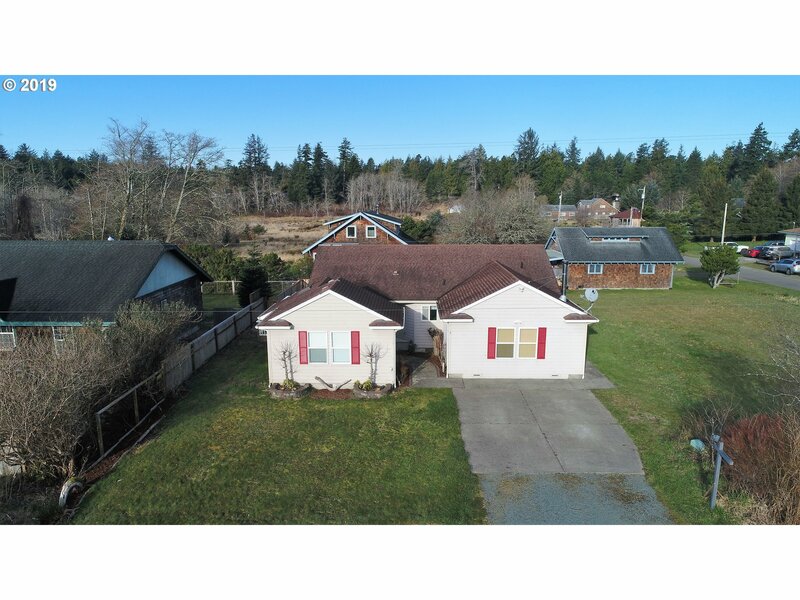 "Two Manufactured Homes on a .24 acre parcel, Rear residence has 2,508 Square Feet and Front residence is 1,080 with an over sized 824 garage/shop area.Valley views and a view of the Nehalem River. Features of both homes are vaulted ceilings, separate laundry rooms, large master bedrooms with walk in closets. Very nice homes on a beautiful view lot. So many options for the right buyer... Out of the Tsunami zone." "Roomy, light, bright home on level 2+ acres off private road. Has covered front porch, fenced back yard, great flow. Fronts on South Fork Nehalem just upriver from Windy Bend. Boat dock allowed attached to bank by gangway. Salmon, sturgeon fishing, kayaking, paddle-boarding out your back door. 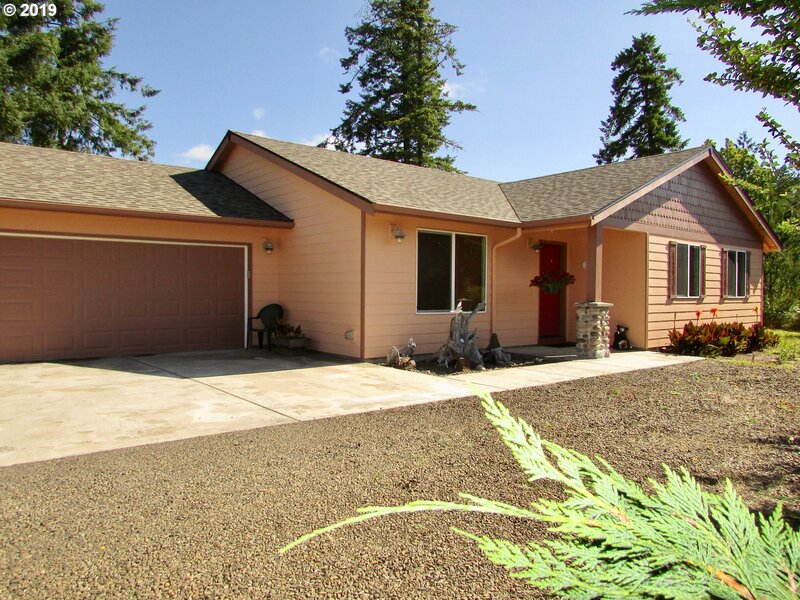 Minutes to Nehalem Bay & Manzanita Beach. Room to garden, run, or just set a spell & watch the sunset." "Like new construction built in 2015, walking distance to the Nehalem Bay! Excellent condition, contemporary floor plan with open kitchen/living/dining and Master Bedroom with attached bath & walk-in closet. Ideal for retirement living close to the beach & bay, fishing, crabbing, hiking & paddling. RV/Boat parking on site, fenced yard for kids/pets. Set back off the street for quiet & privacy. Ready to move in and enjoy!" "Here's your new home! Easy, modern living; move-in ready. Excellent floor plan with master suite on the main floor and plenty of room and storage space, plus good separation between master and guest or family bedrooms. 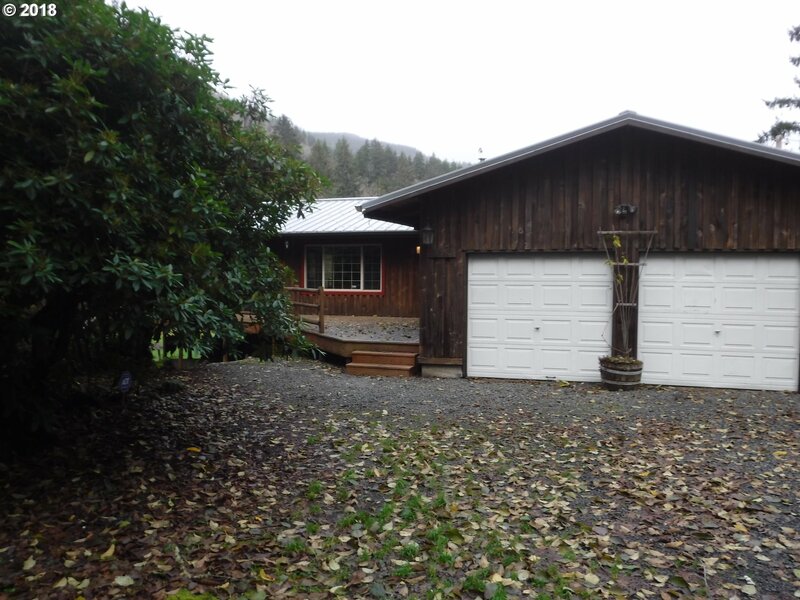 Large, .17ac lot just a short distance to Nehalem Bay, Sunny deck and storage shed. Minutes to Manzanita or Nehalem. Buy your home for about what you're paying in rent!" "Comfy Coastal Ranch with back yard views of Duck Pond wetland area adjacent to land in perpetual conservation. Watch dramatic storms come in over Nehalem Bay from this private neighborhood just minutes from miles of sandy beach at Manzanita. Perfect location; easy access to fishing, crabbing, beach walking and enjoyment of natural beauty. You'll see the sun rise over the coast range mountains & pristine wetlands then set over the Bay." "3 bed, 2 bath Single level double-wide manufactured home nestled on 1 acre with mountain views and Foley Creek frontage. Do your body some good and experience the peace and tranquility of waterfront property. Vaulted great room style layout, spacious kitchen with island and ample cabinet space. Vaulted master suite with soak tub, walk in shower and separate reading nook. 30 x 40 detached garage/shop, RV parking and expansive deck." "One level living above the madding crowd. 3bdrm/2bath newer upper level condo is short distance to Nehalem Rvr & public dock--grab your kayak & paddle leisurely around Deer Island,or tie up your boat to offload your salmon/sturgeon/crab & stash them in your refrigerator. Tons of cabinetry in the kitchen. Shady covered deck perfect for morning coffee or drinks at dusk. 477 sqft garage for all your toys. Only four units in entire complex"
"Gorgeous views from this one bedroom, 1.5 bath townhouse.Come enjoy the views, the Nehalem River, Bay and Pacific Ocean or just wander through the village shops, restaurants and coffee houses. Bike, hike, swim, crab, fishing and so much more."